Getting a blog off the ground and successfully growing an audience is tough work. Web design/setup, content creation, social media marketing, and general maintenance all require time and effort. Sometimes, blogging can almost seem like a part-time job, or even a full-time one! However, I think I’m safe in saying that most bloggers put in the time and effort because it is enjoyable to do so. I mean, there’s something immensely satisfying about creating your own corner of the internet and watching it flourish. Considering how much work blogging requires, the number of tools you need to use and how important a blog can be for its creator, I believe it is crucial that blogging is done efficiently from day 1. There’s nothing worse than putting your heart and soul into a project for months or years, only to realize you haven’t been receiving results that match your efforts. And so, in this post I want to outline some fundamental SEO tips that bloggers can use from day 1 to avoid the frustration of having to learn from their mistakes and missed opportunities. Let’s get to the SEO tips! 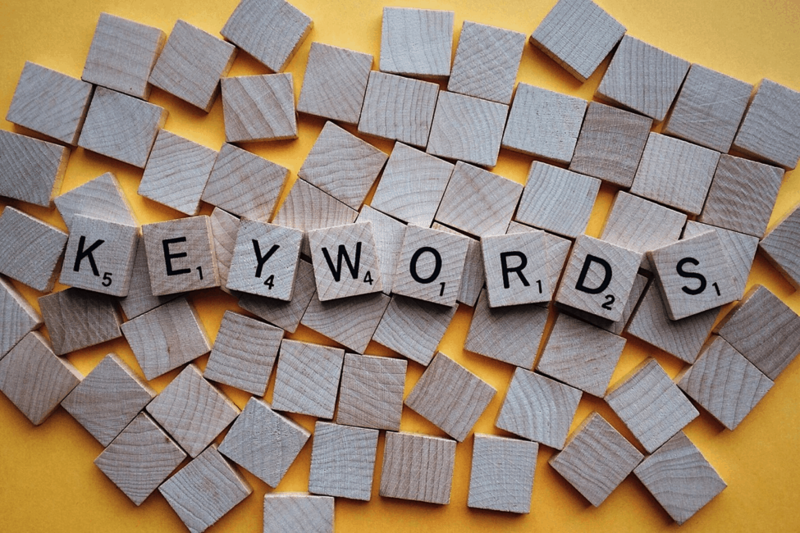 Now I know a lot of bloggers preach about the importance of keyword research, but that’s for good reason: keywords help bloggers establish an organic search presence on Google or other search engines. If you never conduct keyword research, I can almost assure you that organic traffic will be difficult to develop. Google and other search engines become more competitive every single day, and while algorithm changes generally help push quality to the front of the line, reaching an organic audience is going to take a lot of work and know-how. However, grasping the basics of keywords research and learning how to implement it as a new blogger is not difficult. You can also use this information to identify low competition keywords that you have a higher chance at ranking for if you pepper the search phrase throughout your article. Often times, these lower competition keywords will be long-tail keywords, or keywords that contain more than 1-2 words. So, how can you actually use this information in your posts? Well, let’s say you were writing a post on how to make money online. 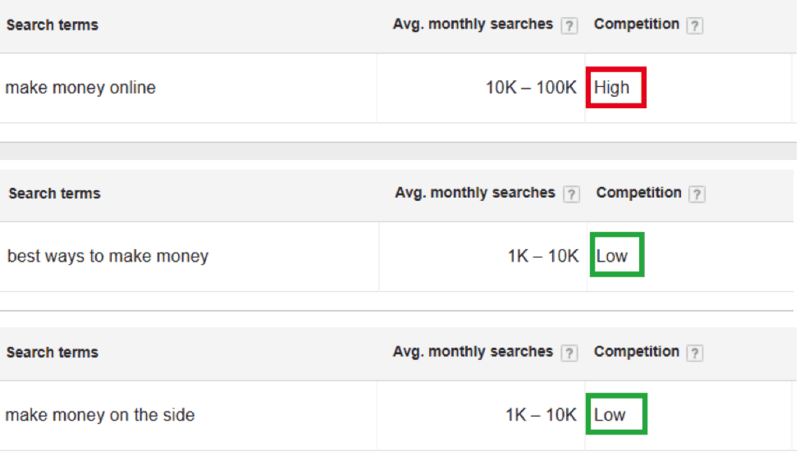 As you can see above, these lower competition keywords have fewer monthly searches, but their low in competition and will allow you to have a fighting chance on search engines. 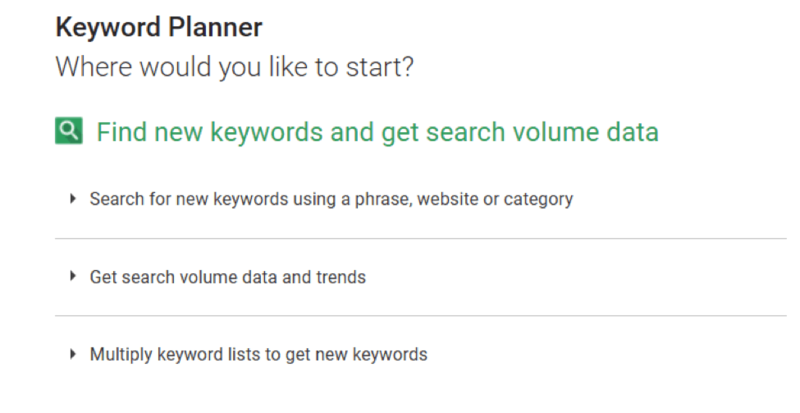 These subtle changes in the keywords you use won’t rank you on the first page of Google overnight (or at all, depending on the competition). However, engaging in minimal amounts of keyword research and targeting low competition keywords in your blog posts will gradually increase your visibility on search engines and drive more traffic to your blog. Another massive SEO mistake I personally made on one of my first blogs was to only write short articles. I was blogging every day, pumping out 500-700 word articles on whatever topic happened to catch my attention. It was fun, my content was solid, but I almost never received any traffic to my blog at all. But here’s the thing: if you only write short articles, you will struggle to grow your audience on search engines. 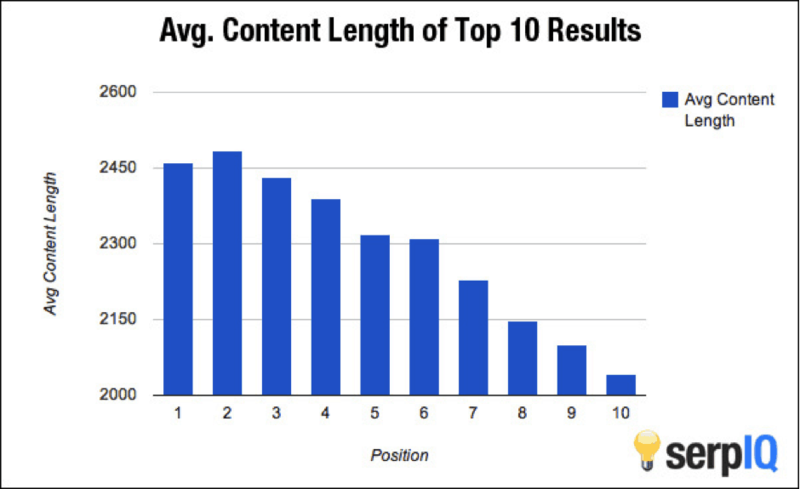 The reason behind this is simple: longer form content provides a greater opportunity to rank for multiple keywords (like we just talked about! ), keep readers on your website for longer, and encourage greater amounts of social sharing. 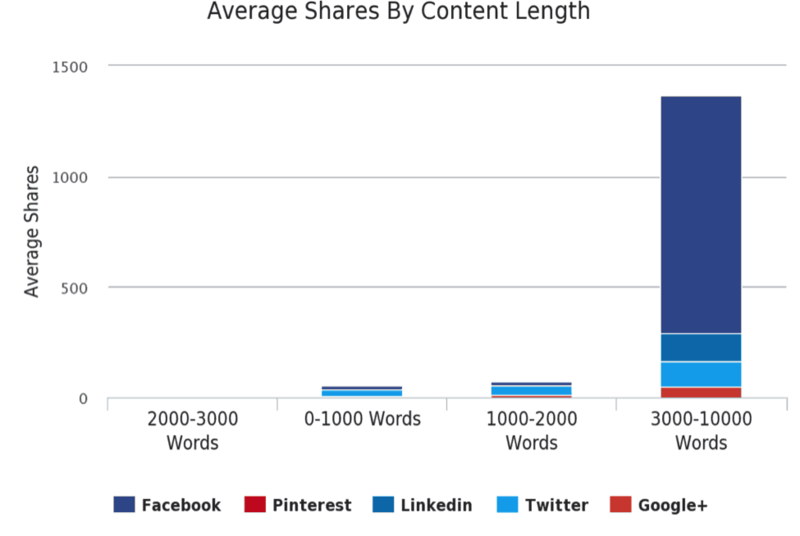 As you can see, the posts that make it to the 1st page of Google average around 2,500 words, and longer posts also receive more social shares than short posts. I’m not saying there is anything wrong with writing short content. Additionally, I also don’t want to encourage the practice of writing just for the sake of writing. However, if you are a blogger who is interested in increasing your audience and website traffic, you are limiting your potential by never writing long form content. If you want to truly have a chance with organic search, you’ll need to have some beefy articles on your side! The value of this SEO tip is something I only learned recently, and I want to share it with other bloggers so they can avoid missing out on a critical aspect of marketing your blog. When I started blogging on my recent blog This Online World, I spent the first 6 months pumping out content. I probably spent 15+ hours a week alone on researching article topics, keyword research, and writing articles. Occasionally I would promote my blog on social media, but I never really did much more than that. This is a massive mistake that so many bloggers make (and at every level of experience). A backlink is essentially a link that points to your website from another website. Backlinks can help assert your domain authority, drive referral traffic to your website, and ultimately help establish some higher search engine rankings for your blog. I mean, if you think about it, it makes sense. A website that has hundreds or even thousands of high quality links from other popular websites is probably trustworthy and high in quality, so Google rewards this. If you want to start building your blogging presence, you shouldn’t wait to start link building and networking with other bloggers in your niche. Building high quality links takes time, and you’ll definitely have some regrets if you wait for months or years to start the process! Arranging for guest posts on blogs that are in a similar niche. Commenting on forums (some forums actually pass on DoFollow links) with valuable information. Adding your blog to a select few (and high quality) forum RSS feeds in your niche. Create awesome infographics on your content and encourage other content creators to use your work (and credit you). These are just a few of the ways you can go about link building, but I encourage you to start as soon as your blog has 10+ articles published and some meat on the bones. 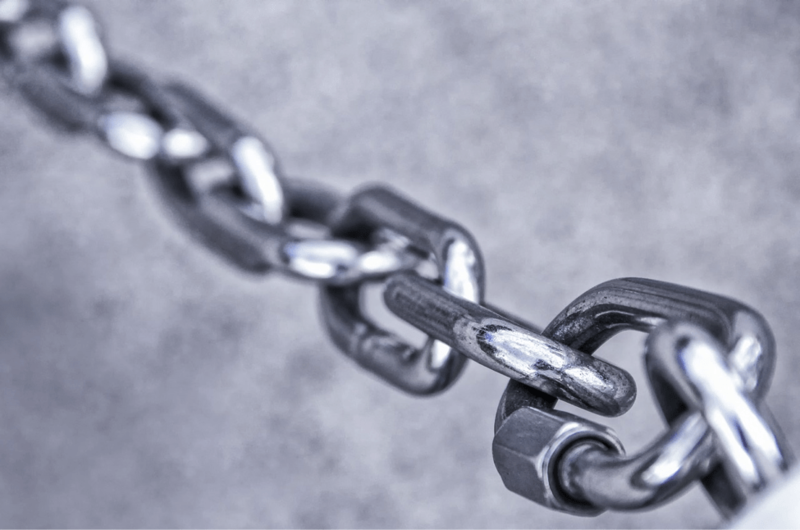 Aside from some SEO value, link building is an excellent way to connect with other bloggers in your industry and establish valuable relationships that can last for years! Search engine optimization is an ever-changing practice due to changes in technology, algorithms, and how much competitive the internet is becoming. However, no matter how SEO changes, users will always value ease of use, a functioning website, and pleasant experience. It turns out Google does as well. Website speed does influence how well you rank on Google because website speed (and page speed) is part of Google’s ranking algorithm. Additionally, other SEO related metrics like bounce rate or how long users spend on your website can also play a role in how your website fares on search engines. If you get carried away with content creation and marketing, you might be missing out on some great optimization opportunities on your own blog. Taking time to improve your blog’s performance will yield incredible dividends in both the short and long term. Your readers will have a better experience, and you’ll also look better in the eyes of Google. To improve your website’s performance, you can do your own optimization work by installing certain plugins (if you’re on WordPress) and reducing the amount of assets your pages have to render. However, if website optimization makes you scratch your head, you can always hire a specialist on Fiverr or other marketplaces to improve your website’s speed for a reasonable price. At the end of the day, people blog for different reasons. Some of us are looking to earn income from our websites, while other bloggers are pure hobbyists who just enjoy writing. 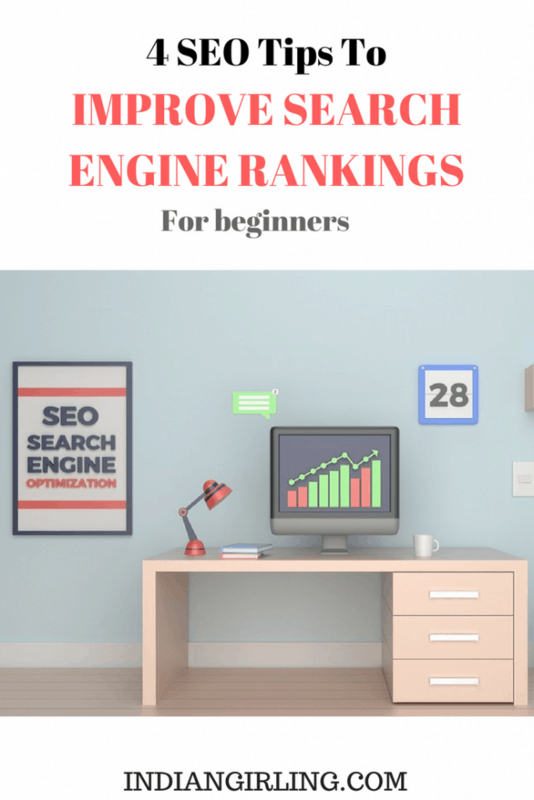 Whatever the case, there are some absolutely crucial search engine optimization tips that can help bloggers maximize their reach and develop and audience when starting out. By grasping the basics of keyword research, writing long form content, establishing backlinks, and optimizing your website, you can start to transform your blog’s performance in search engine rankings and reach more readers with your content. This was super helpful. Love it! You’re absolutely right about backlinks! Now I’m on collaborate with other bloggers. Thanks a lot! Great post. Blogging beginners need to be aware the importance of SEO early on. Thank you Shruti for sharing this tips. Collaborating with other bloggers is what I’m looking to do now. These are great tips! I just started adding more links to my posts. Thanks for sharing! I wish I’d read your article months ago! It’s exactly what I need to increase my organic reach. Love this! 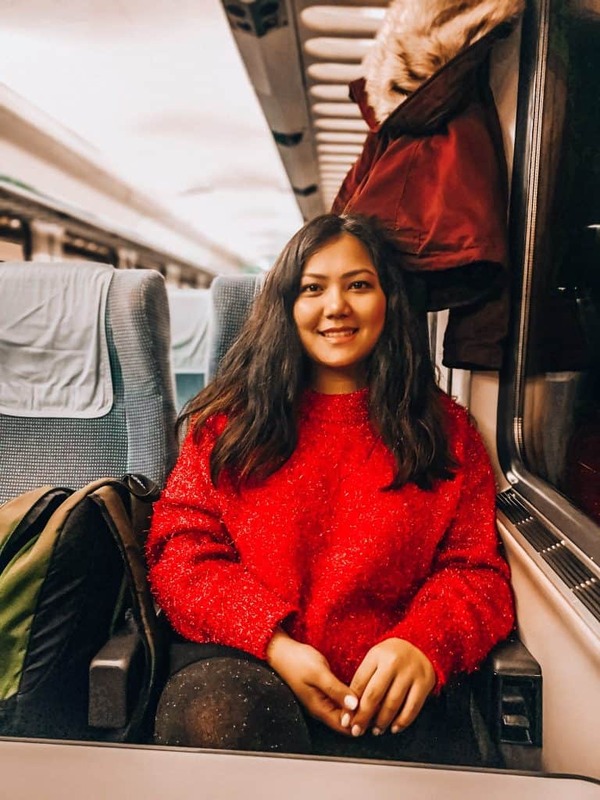 Thank you Indiangirling for your valuable information regarding Seo. As far as my Seo knowledge is concern it is in nascent age .And your information for me is great.